Sources within AFC Wimbledon have confirmed that a former Kingsmeadow favourite will be returning to the club in January. Supporters at the South London club will be delighted to hear that long-time fan Derek Arvery has purchased a half-season ticket and will make his first trip to Kingsmeadow in over two years when the Dons play Blackpool on January 20. Arvery, pictured above – in customary green jumper and cap – watching over former player John Lelliott from his old seat in the Ru Paul Swank Stand, has not been to a Dons home game since October 2015. The 52-year-old Communications Executive was last seen leaving that game – a 5-2 defeat to Morecambe – telling friends acquaintances other fans that he has been called away on important business, and was unlikely to attend any forthcoming fixtures. 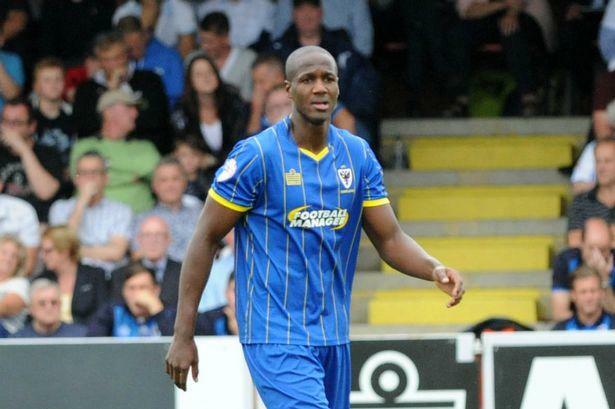 Concerns grew Questions were raised about the welfare of Arvery after he did not return for any game in the remainder of the 2015-16 season, and his seat – which had remained empty – was taken by a new supporter when Wimbledon kicked-off the following campaign against Bolton Wanderers. That fan – Layla D. Wimbledon, “34” – said she had no knowledge of nor any connection to Arvery, and although she was sorry that he did not appear to be attending games anymore, she was delighted to have landed a much sought-after season ticket near the club’s Peter Kay Aga Oven Presidential Suite. Fortunately, it appears Arvery has been legitimately abroad on business and is looking forward to returning to Kingsmeadow – albeit now in the Don Kingston Green Noodle Stand. “We only have seats in that stand,” Dons Chief Executive Derek Samuelsunderland informed us. “So as much as the regulars in the Swank Stand will miss his tactical insights and witty criticisms of our players and management staff – his observation that the only crossing George Francomb should be doing is blindfolded across the A3 was particularly well-received, I remember – he’ll have to settle for a new vantage point. In other news, Wimbledon fans might be disappointed to hear that there won’t be changes to the first-team squad during the January transfer window, with manager Hardley saying it would be, “difficult to improve” a squad that has so far taken his side to fourth-bottom of the table this campaign.